What can I say besides WOW! I got a great deal on this graphics card. 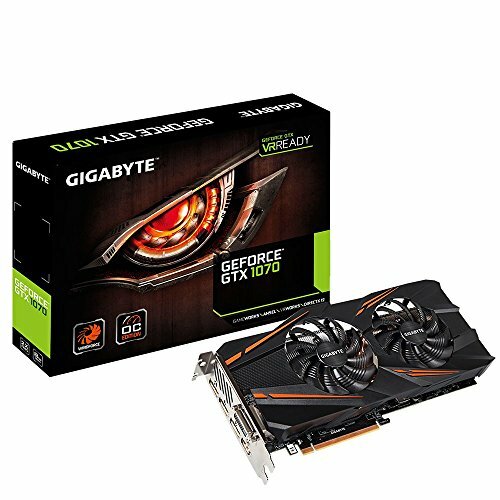 This was the cheapest GTX 1070 at the time of purchase. 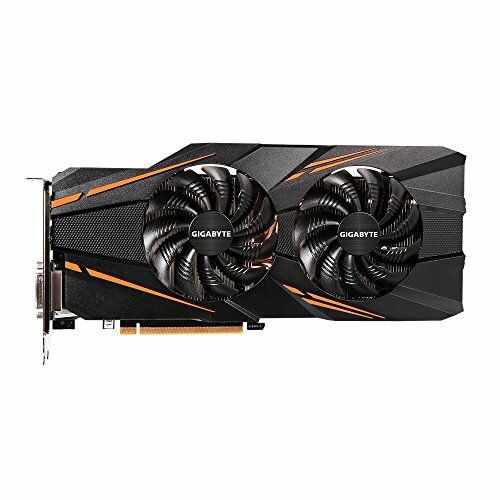 I feel like I received a much more expensive graphics card as I had no problem overclocking this card and get it to boost to the golden 2.1 GHz. So far I have added 145 MHz to the core clock speed and 500 MHz to the memory making the core specs: core clock = 1727 MHz and memory effective = 9000 MHz. I have not noticed any coil while and the card does manage to stay cool in my Node 202 build. downside is no backplate but im planning on buying a custom backplate for it. otherwise its an exceptional card for me and does give me that added boost of better graphics. from completed build 1080p MONSTER! Really quiet, great OC out of the box, really easy to push the card to 1900-2000MHz, runs everything like I wanted it to. I got it because it was the cheapest 1070 and it looks cool. 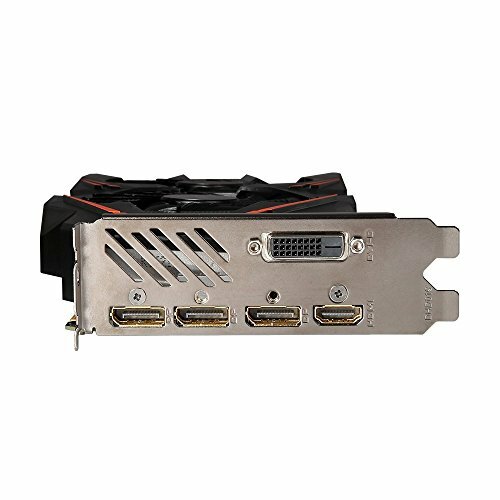 The fans dont start untill it hits 40c, its a little loud with full fan speed but wont go above 65c also it has no back plate. 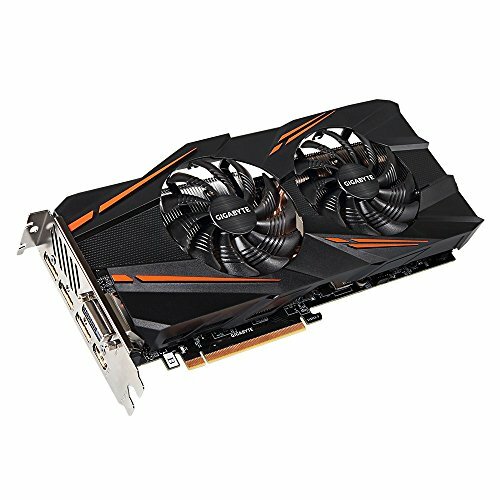 Great performance at a good price compared to other cards. Also, came with a free game from a Nvidia promo. A great graphics card. Comes with a cd to install an overclocking gui for easy overclocking. from completed build Destined to Game! Great GPU runs everything I throw at it and even though it's not a massive cooler it does it's job well and keeps everything cool under load. Also for the price it's amazing.